Welcome to Fremont Auto Center, we are your top choice for Fremont Mercedes Benz E-Class service and repair. Whether your Mercedes Benz needs Mercedes A service, electrical system diagnostics, brake repairs, major engine repairs, or transmission issues, our nationally ASE certified technicians have the advanced training and state-of-the-art equipment to service your Mercedes. Most services and repairs can be performed the same day. Our technicians undergo regular training, are equipped with latest computerized diagnostic equipment, and can provide highest level of professional service. Sal, the owner of Fremont Auto Center, is a master mechanic who has worked for Mercedes dealerships, and was the master diagnostician called on to repair Mercedes Maybach and SLR McLaren vehicles – he is one of only a handful of technicians certified to work on Mercedes SLR McLaren. There are fewer than 150 such technicians in the entire United States - when you bring your E-Class to us, it truly is in good hands. Regularly servicing your Mercedes E-Class at Fremont Auto Center fulfills manufacturer’s requirements to maintain factory warranty. Mercedes E-Class has been in production for over half a century, though obviously the modern E-Class does not look anything like its predecessors. Equipped with latest safety and driver comfort features, E-Class will serve you well, especially if it is maintained by a Mercedes specialist. When you bring your vehicle to Fremont Auto Center, it will be worked on by a world class Mercedes mechanic, and if it needs to stay in the shop overnight, it will be parked inside our building for safety. 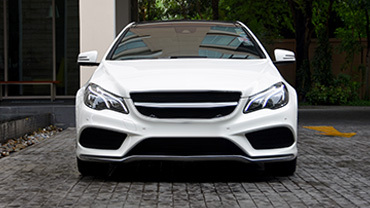 At Fremont Auto Center we suggest following Mercedes recommended maintenance schedule. Your vehicle’s computers will let you know when it’s time for a service. Whether it needs Mercedes A or Mercedes B service, A/C repair, brake repair, electrical system diagnostics, or faces other problems, our master technicians will be able to service your vehicle, resolve the problems, and get it back to you, usually the same day. Whenever your Mercedes E-Class visits our shop, we also perform a complimentary inspection, including battery, inspection of belts and hoses, tire inspection and tire pressure adjustment, we check the undercarriage for leaks, and we also check other components that may give us better understanding of the overall health of your vehicle. Fremont Auto Center is a full service Fremont Mercedes repair shop – we provide Mercedes Service A, Mercedes Service B, electrical system diagnostics & repair, brake pad replacement, brake repair, engine diagnostics & repair, cooling system service & repair, computer diagnostics, fuel pump repair, transmission service, A/C service & repair, Mercedes pre-purchase inspections, and, of course, “check engine” light diagnostics. This is just an abbreviated list of services we provide – if you suspect that your Mercedes is not 100% healthy – bring it in for a checkup. For your convenience, you can schedule an appointment online, or simply give us a call.